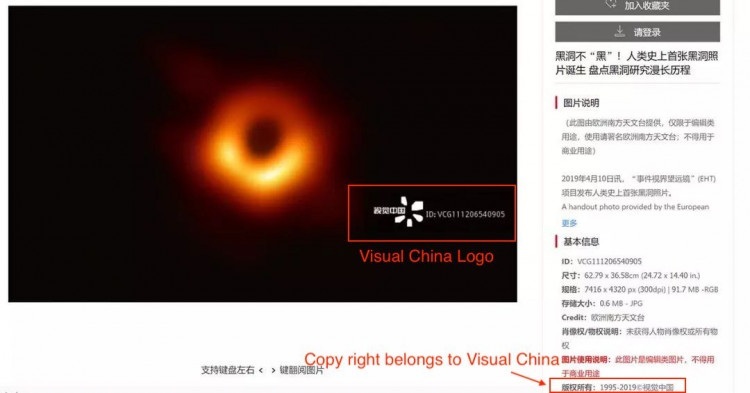 Visual China Group, China's largest stock images provider, on Friday shut its website to make changes and apologized after it was criticized online and by regulators for selling images which it did not hold the ownership rights to. 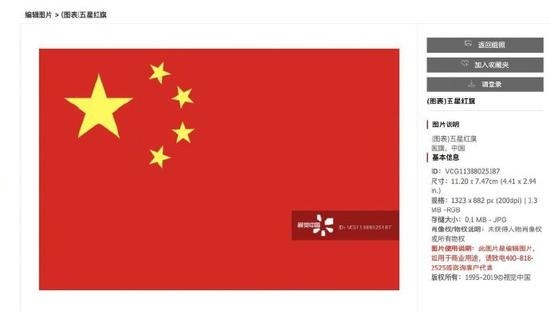 The company, sometimes likened to U.S. photo agency Getty Images which it also partners with, apologized in a post on its official Weibo account, saying the incident revealed its weak management and that it was cooperating with authorities. State news agency Xinhua said the company had been asked to meet the Tianjin city branch of China's internet watchdog on Thursday evening and ordered to rectify its website. 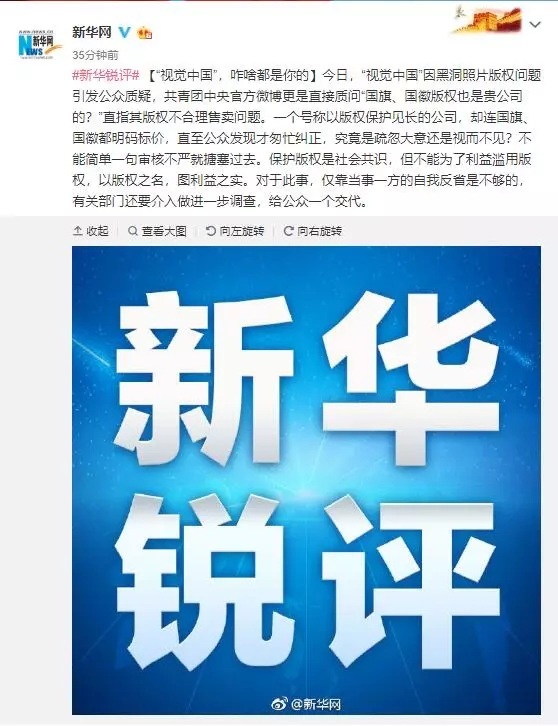 The topic "Visual China apologizes" was the most-read one on China's Twitter-like Weibo platform on Friday, with over 250 million views. According to its website, Visual China has over 40 million editorial images and 1.25 million videos. "The company will learn from these lessons, seriously make rectifications, and voluntarily accept how the Tianjin Internet Information Office chooses to deal with the firm."